Product prices and availability are accurate as of 2019-04-17 19:59:05 EDT and are subject to change. Any price and availability information displayed on http://www.amazon.com/ at the time of purchase will apply to the purchase of this product. 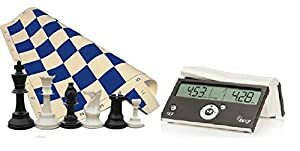 This Tournament Chess Set comes with a Staunton design, full tournament-size, felt padded plastic chess set. Get the durability of impact resistant plastic along with the classic Staunton look. This chess set features a full 3.75" King with a stable base of 1.5" diameter. 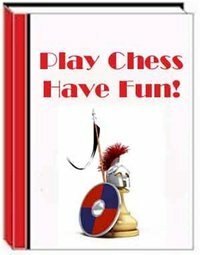 You get 34 chess pieces, including 2 extra Queens, to make pawn promotion simple. 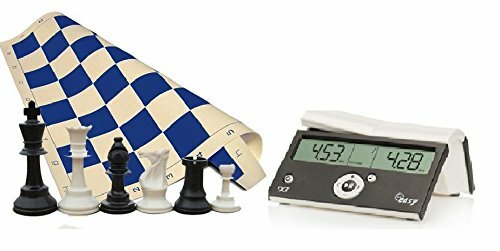 You will love this lightweight, roll-up chessboard! It is easy to take to tournaments, clubs, or next door. Clear and legible algebraic notation, 20"x 20", with 2.25" square size meets all chess tournament standards. DGT Easy Game Timer Feature List: Ergonomic * Intuitive operation * Large moving lever for changing turns * Large 13mm. 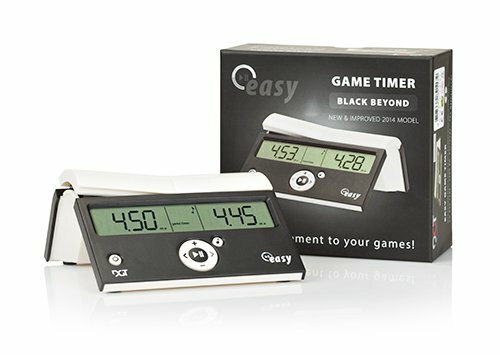 (approximately one-half inch) time display * Single front-button game reset * Last used settings saved when switched off Functions * Game Timer (Count down) * Up to 9 hrs 59 minutes for entire game (Chess, Checkers, Draughts, Go, Scrabble, etc.) 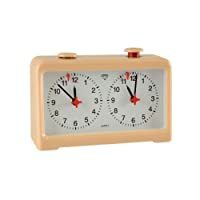 * Including exceed time display * Different start time for each player possible * Second-accurate programming up to 20 seconds, minute-accurate programming above 20 minutes * Upcounting Game Timer * Starts from Zero time * Move Timer * Programmed time for every move separately (Rummikub, Scrabble - different move time for each players possible) Complete * Flag symbol for player that reaches zero time first * Time correction during a game * Seconds counting visible below 20 minutes * Warning sound on last 5 seconds * Sound function can be switched off and on during the game * 5 languages user manual: English, German, French, Dutch, Russian PLUS The interactive e-book titled "Play Chess - Have Fun" will help you learn to play chess quickly and play it well.